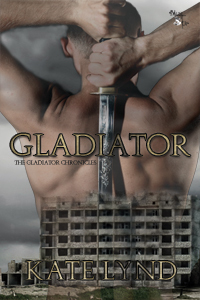 Today I have an excerpt from Kate Lynd’s Gladiator, a Mad Max meets Gladiator series that is set to be a trilogy. Here’s a quick blurb before we dive into the excerpt. His skin began to crawl. Veronica had a twisted way of looking at what constituted a consolation prize; it was usually just a groupie who wanted to watch what the queen did with the equivalent of rock stars of the formerUnited States of America. And he usually did the dog and pony show. But sometimes Veronica required something to prove his loyalty to her. That would be more complicated. She also writes as Amy McCorkle. Her books include 2012 Moondance International Film Festival SemiFinalist Another Way to Die, and Set Fire to the Rain. 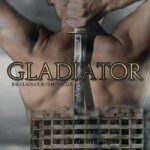 Gladiator is her most recent release with Bounty Hunter, her first print book due out in October.